Twin parks Universal Studios Florida in Orlando and Universal Studios Hollywood in Los Angeles lead the NBCUniversal theme park division, the third-largest amusement park operator in the world. That distinction comes with a hefty price tag; a 2014 single-park base ticket at Universal Orlando (one day, one park) costs over $100 per guest over age 10. Luckily, there are ways to bypass the sticker shock and save on your theme park getaway. Navigating the staggering ticket options at these two parks can boggle the mind before you even begin to tackle rates. It's not just the number of days for the standard tickets; there are also a multitude of perks to sort through. These include VIP experience tours, skip-the-lines bonus features, character dining, and add-ons galore. You'll need to compare prices carefully; one site may offer pricing that seems like a steal until you closely double check the bottom line for all the optional extras, and don't forget tax and shipping fees. Still, there are deals to be had, and you can surely beat the walk-up gate price if you do a bit of homework. Checking our membership and "club" organizations is one of the easiest ways to find discounts. AARP: Universal Studios offers discounts to AARP members, but you won't find these lower rates with the park directly. Check pricing with the Expedia-branded AARP Travel Center. AAA (and the Canadian version, CAA): These clubs partner to offer Universal Studios savings to members through advance purchases made online or at your local AAA club store. Costco: This wholesale club sometimes stocks reduced-rate tickets for in-store shoppers only. You can also compare package deals available with the company's online travel division. Universal Studios Florida regularly features regional discounts for Florida residents, and Universal Studios Hollywood has been known to occasionally offer lower rates to people living in Southern California (Zip Codes 9000-93599). The deal will appear on the theme park's website when it's available. Visitors who take advantage of these discount programs must purchase their tickets online, and then pick them up at the window in person and show their order confirmation and proof of state residency for each ticket. Those with military or U.S. Government I.D. are also eligible for discounted rates at both the Florida and Hollywood locations. This includes all active and retired U.S. military personnel, Department of Defense personnel, National Guard, Reservists and their dependents. However, discount tickets can only be obtained at participating MWR/ITT offices and are not available for purchase online. Universal Studios Hollywood extends a student discount rate to a number of colleges and universities (including some outside California). A school-issued e-mail address (ending in .edu, for example) from a participating school is required to receive the discount. Online ticket brokers often feature the best discount on Universal Studios tickets available, although you'll still need to watch for varying levels of discounts. You could save anywhere from just $1 or $2 to as much as $15 off a single admission. However, ticket quantities may be limited, and the best offers can expire quickly. Compare different vendors to find the best deals and final prices, and to ensure you're dealing with an authorized ticket retailer. 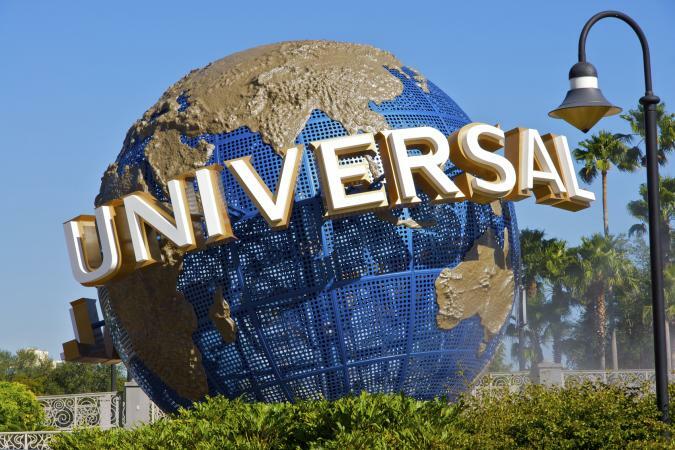 Undercover Tourist sometimes offers discount tickets and free shipping for both Universal Studios in Hollywood and Universal Studios in Florida. Based in Florida, this highly-reliable ticket broker features crowd calendars on its site, as well as park-specific touring guides and other planning tools. Welcome to SoCal is the online partner to SoCal Magazine. The site offers exclusive rates for Universal Studios Hollywood and other Southern California attractions. Print-at-home delivery for these e-tickets means you can print right away and go straight to the gate, although a $2 per person "convenience fee" applies. There are a few options for purchasing tickets to the Orlando park through an online broker. Maple Leaf Tickets is an authorized retailer that operates a discounted ticket store (and motel) right in Kissimmee, Florida. This family-owned-and-operated business has been selling discount tickets to Orlando-area attractions since 1983. Orders can be shipped directly to your home, picked up at the Maple Leaf office, or delivered to your local hotel during your vacation. The Official Ticket Center is another Kissimmee-based retailer that offers discounts for the Florida location. Shipping is free, and the site claims to meet or beat any price. GreatOrlandoDiscounts.com is the e-commerce site for Billy Boy's Tickets, which has been operating in Kissimmee for more than 30 years. They offer free shipping and delivery to local hotels, or you may pick up your tickets from the office, which is open seven days a week and is only closed on Christmas Day. With a little work, it is easy to find the best discount on Universal Studios tickets. By saving even a few dollars, you can make your vacation a blockbuster hit while reducing the size of the dent in your wallet.